Paul Pogba scored twice in Man Utd’s win over Young Boys in the Champions League on Wednesday night, but Graeme Souness still found time to criticise him. As noted by the Manchester Evening News, the Sky Sports pundit has never been shy in slamming the French international, and in fairness, sometimes it is warranted as the World Cup winner has fallen short of the standards expected of him. However, after scoring twice and playing an influential role in his side’s win away at Young Boys in the Champions League to kick-start their European campaign with a win, he would have been forgiven for thinking that he might escape another rant from Souness. Unfortunately, Pogba was wrong as Souness was speaking to Virgin Media in Ireland in a punditry role after the game, and again somehow managed to find a reason to criticise the 25-year-old. “If he wants to become a star, someone that can run games and someone people talk about like a proper player, he has to show consistency and leadership,” Souness is quoted as saying by The Mirror. “He has the armband now and he has got to change his attitude – to football. The consistency point is a fair one, as if Pogba is going to silence his critics for good and achieve what he wants to at club level at Old Trafford, he must consistently deliver for Jose Mourinho and emerge as the stand-out leader at the club. 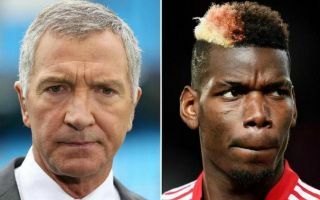 Nevertheless, to question if he sees football “as a bit of a joke”, is surely taking it too far from Souness as he neither knows about Pogba’s personal attitude nor can question someone else’s motivation. Given what he has achieved in his career thus far, Pogba hasn’t got there by luck. He’s undoubtedly put the hard work in and earned his rewards. Time will tell though if he can replicate that at Man Utd and eventually silence Souness who is seemingly his biggest and most consistent critic.